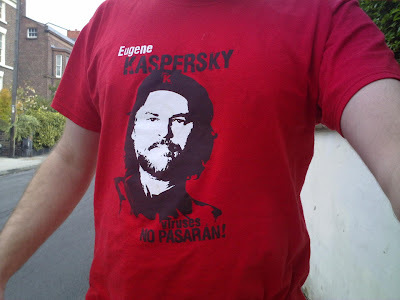 Eugene Kaspersky sees himself as some kind of revolutionist based on the T-Shirts being given away as Kaspersky stands in IT events. Yet surely Che Guevara was more interested in freedom and equality for all? Would Che be interested in charging money for software, or would he be more likely to want to provide it for free like free healthcare?